The February issue of Der Gasser will be published on Friday February 8, 2013. Paula Gavin our Membership chair will send out an e-mail with the links. You want to show off your Porsche in the “Porsche of the Month” feature. 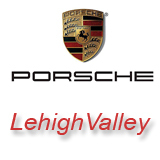 You want to tell others about the favorite Porsche drive or destination in the “Destinations” feature.